A cursory glance through the history books tells you that Malta has found itself in the firing line between warring powers for centuries, continuously re-shaping the development of the fortifications in Valletta and around the island. 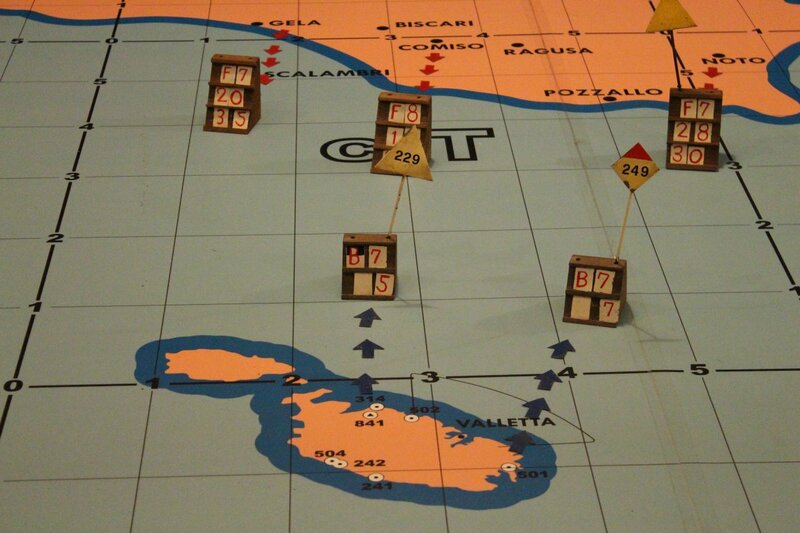 However, the threat faced by Malta during World War II was unprecedented – the island was bombed for 154 successive days/nights and wrecked by 6,700 tons of bombs delivered in over 3,000 bombing raids. The survival of the islanders through this terrible storm can be attributed in no small part to a remarkable network of underground shelters, some of which are open to visitors today. On our trip to Malta we visited the large public shelter at the Casa Rocca Piccola in Valletta, a shelter system in Rabat (connected to St Paul’s Grotto, catacombs and the Wignacourt Museum), the public shelters in Birgu (now part of the Malta at War museum) and the underground complex where the defence of Malta was co-ordinated (today known as the Lascaris War Rooms). The network that you can visit at the Malta at War Museum gave the most fascinating insight into the daily torment of the civilian population and I could only wonder at their resilience. 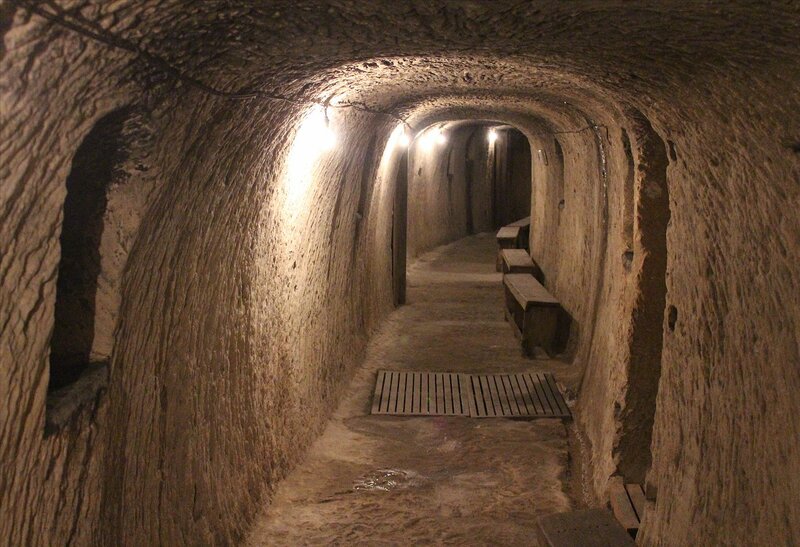 The central tunnels were narrow enough but the side passageways were incredibly small and claustrophobic. It is hard to imagine how terrifying it must have been to be down here in a crowded space dimly illuminated by oil lamps, the air filled with limestone dust, incredible humidity and the sound of bombing above. It was fascinating to discover that individuals could apply to carve out their own private chamber, though this must have been a challenge for many – you were only allowed to cut this yourself and only within daytime hours. 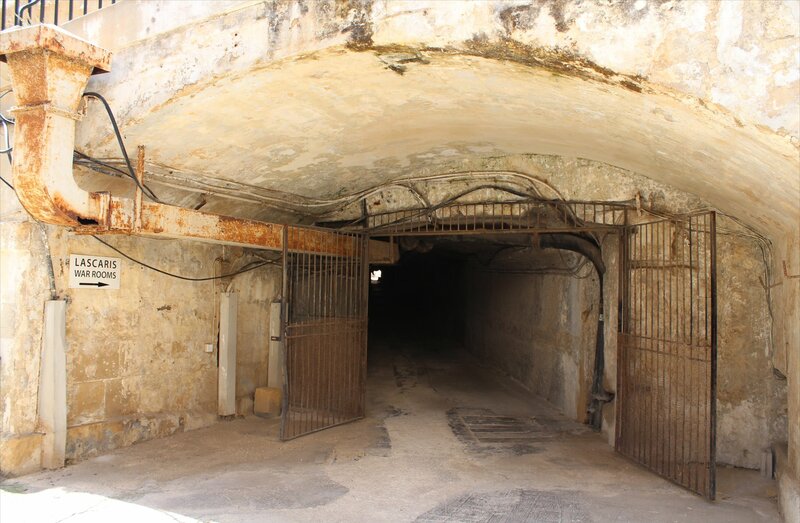 Nevertheless, the tunnels were clearly very successful in protecting the population when you consider the casualty rates relative to the pounding that Malta took – not that this will have been any consolation to the families of the unlucky souls trapped in the open at the wrong time. The complex underneath Valletta is even more remarkable and you can visit a small part of this on a visit to the Lascaris War Rooms. It proved to be incredibly tricky to find, going backwards and forwards as we tried to follow the signs to the entrance. It is worth persevering as it is fascinating to be taken on a guided tour of this series of underground chambers which is astonishingly still ventilated by the improvised system made from wreckage salvaged from sunken ships in the Grand Harbour. The enthusiasm of our guides was infectious and I really hope they get sufficient funds to realise their marvellous plans. This summer much more will be open to the public than we saw, but even then there will still be a considerable portion of the site awaiting restoration and re-opening – including some unfinished tunnels that are still complete with mining tracks and wagons! 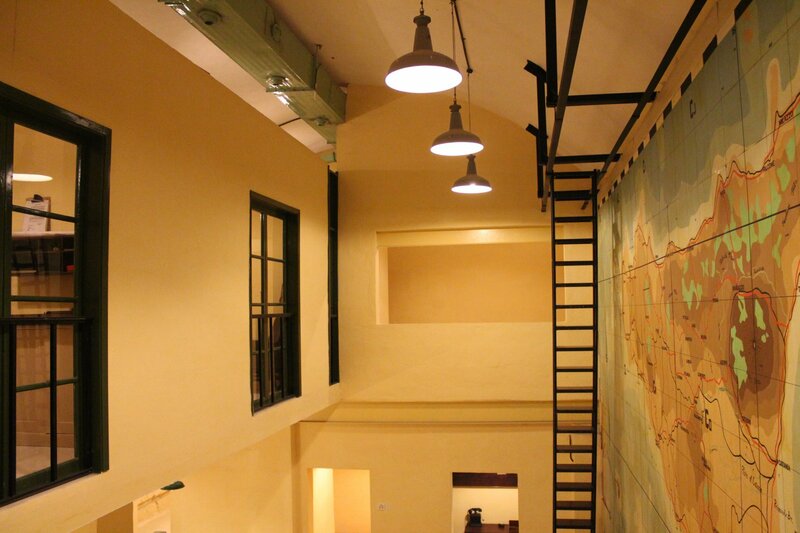 It is clearly a place that you need to come back to again and again as work progresses. News about these and other developments is available from the website of the Fondazzjoni Wirt Artna, the Malta Heritage Trust. The story of Malta’s darkest days is brilliantly captured in the book Fortress Malta: An island under siege 1940-1943 by James Holland which I highly recommend. The personal accounts of life and love in such difficult times are woven through the history so deftly that is impossible not to feel a little heartbroken by the tragic end awaiting some of them.